Artist Dan VanLandingham holds first solo show at the Workshop. 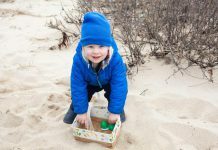 The Workshop in Vineyard Haven is in its fourth year as a work and display venue for artists. Over the years Dan VanLandingham, one of the space’s four founders, hasn’t held a solo show — until now. The Workshop was created by artists Terry Crimmen, Tara Kenny, Lauren Coggins-Tuttle, and Dan VanLandingham. Crimmen and Kenny moved on, so Coggins-Tuttle and VanLandingham are the core of the space these days. 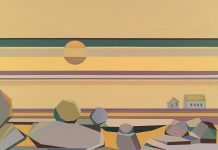 VanLandingham is a Savannah College of Art and Design graduate whose work often features futuristic elements juxtaposed with idyllic landscapes. The paintings in the current show are straight landscapes and seascapes. The brush strokes hold a subtle architectural quality, seeming to hint at the bones of buildings hiding just under the canvas. The Menemsha pieces are the fruit of drone imagery VanLandingham commissioned fellow Savannah College of Art and Design alum David Welch to shoot. The blues of the water are particularly arresting. The artist said he’s opted to rebrand the Beach Road workspace to focus on his work. However, he will still hold group shows, and intends to feature artists who currently have studios in the building: sculptor and glass artist Wil Sideman, metalsmith and sculptor Elysha Roberts, and printmaker Althea Freeman-Miller. 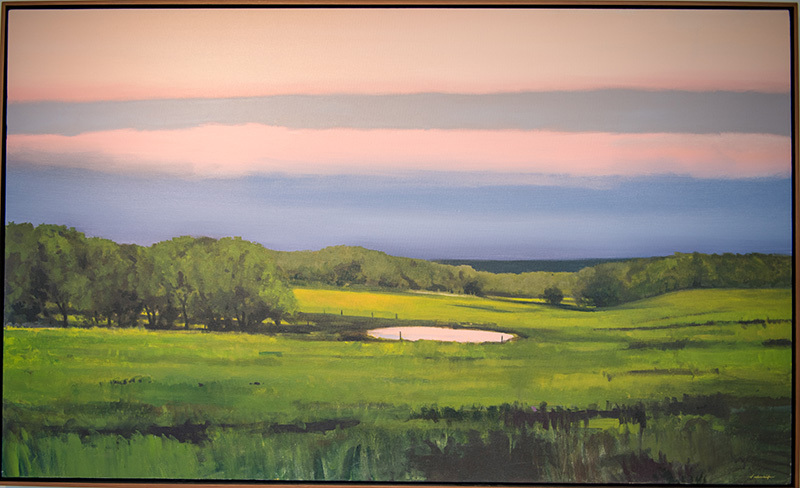 Additionally, VanLandingham hopes to hold solo shows for Coggins-Tuttle, a painter. 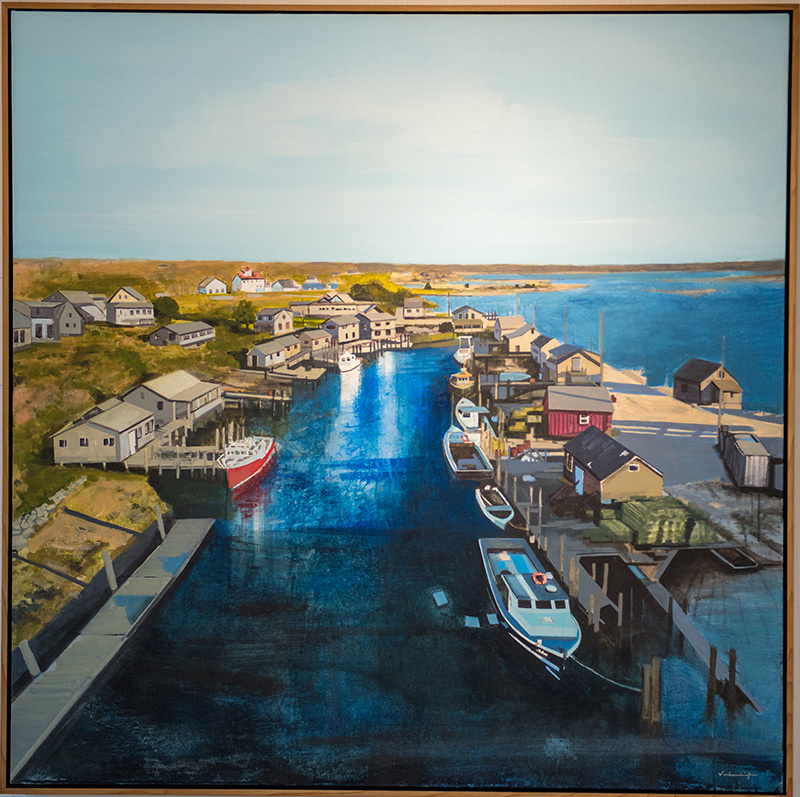 Coggins-Tuttle has been working on her paintings in West Tisbury, at a house with studio space that VanLandingham began building last year. He described her as integral to the Workshop. VanLandingham launched his show in the Workshop on August 10, and plans a closing reception on August 31 from 5 to 8 pm. 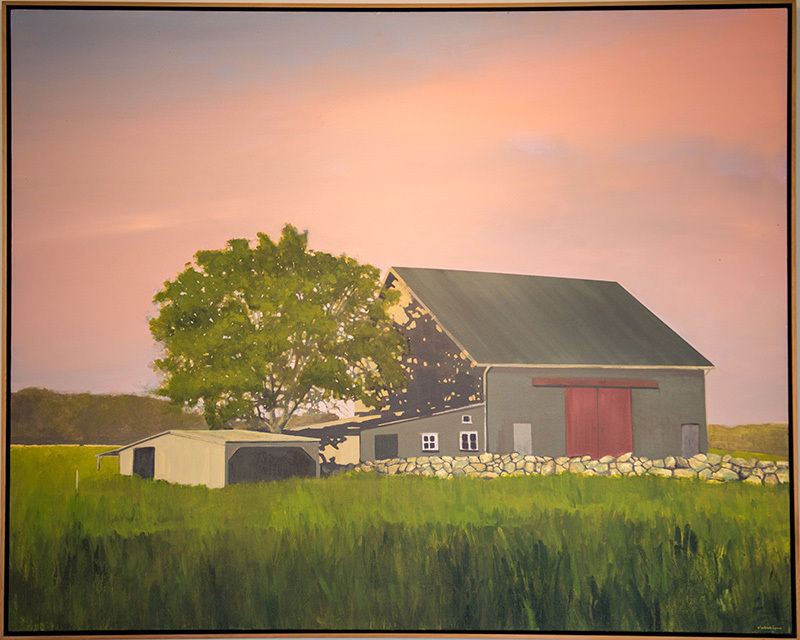 The show features acrylics on canvas of traditional Vineyard scenes, including Menemsha and the Keith Farm.